Skin represents an interface between internal and external environment; it protects human body by regulating the water loss and the maintenance of body temperature, defending against irritant and pathogen agents, and against physical, chemical, and UV damage. It provides to essential physiological functions, such as the important antioxidant defense capacity; its protective/defensive function is performed by a high number of proteins, and shows important functions in maintenance of skin barrier homeostasis. Keratinocytes and fibroblasts play a pivotal role to determine or prevent skin aging in response to intrinsic or extrinsic stimuli, modulating cytokines and several biochemical factors. Non-ablative technologies are playing an increasing role in the management of skin aging, inducing a dermal remodeling without a visible epidermal damage. 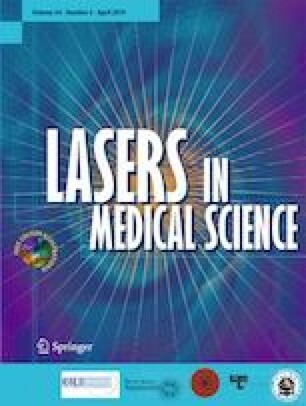 The objective of this study was to evaluate the effect of Q-switched 1064 Nd-YAG laser (Medlite Conbio C6 Nd-YAG laser, Cynosure USA) in skin barrier function, analyzing the constituents which are strongly altered in aging skin. Particularly, we evaluated the expression of filaggrin, TGase, HSP70, and aquaporins, on HaCaT cells. The expression of proinflammatory cytokines has been investigated too. As a second step of the study, we analyzed the modulation of the rejuvenation molecular markers on human skin fibroblasts (HDFs) stimulated with keratinocytes conditioned medium (KCM). Our results demonstrated that Q-switched 1064 nm Nd:YAG laser acts on the skin barrier function, increasing the expression of aquaporins, filaggrin, TGase, and HSP70, modulating the proinflammatory cytokines. In fibroblasts stimulated with keratinocytes conditioned medium (KCM) and irradiated with Q-switched 1064 nm Nd:YAG laser, we can observe a reduction of MMP-1 and an increase in procollagen, collagen type I, and elastin. Our results highlight that Q-switched 1064 nm Nd:YAG laser treatment could represent an effective weapon to fight skin aging. This study was funded by Department of Experimental Medicine University of Campania “Luigi Vanvitelli”, Naples, Italy. Informed consent was obtained from all individual authors included in the study.